Puss in Boots continues the legacy of Shrek, the #1 animated franchise of all time, with the uproarious and irresistible origin story of the notorious fighter, lover and outlaw Puss in Boots. Filled with hilarious action and adventure, the missing tale – of how Puss became a hero long before he met Shrek – delighted audiences of all ages with its non-stop laughs, daring deeds and original story. Even if you’ve become as disenchanted with the Shrek franchise as I have, Puss in Boots will restore your faith in Dreamworks Animation. Puss in Boots also benefits from an all-star cast of voice talent including Antonio Banderas, Salma Hayek, Zach Galifianakis, Billy Bob Thornton and Amy Sedaris, Puss in Boots is a lot of fun for the whole family! Out of all of the characters to be found in the Shrek universe, Puss in Boots has always been my favorite and I’m very happy that he’s finally gotten his own movie that will hopefully launch a new franchise. The first two Shrek movies were pretty good with the second one being the best, but they went downhill quick after that. In fact, Puss in Bootshas more humor (that’s actually funny) and action in it than the last two Shrek movies combined. That’s not to say that Puss in Boots has no flaws, because it does, but it doesn’t feel like a tired retread like the Shrek movies have become. For his first solo outing, we learn how he became the suave swashbuckler we all know and love. Along the way we also learn about his past and about his adoption and adoptive brother and their complicated relationship as well. Puss (Antonio Banderas) meets his adoptive brother Humpty Dumpty (Zach Galifianakis) when they were both young in an orphanage. The two hit it off and work well together since Humpty is cunning and is very good at inventing things and making plans while Puss is good at action and has excellent people skills. They balance each other out so well that Humpty divulges his obsession about some magic beans to Puss which should lead them to a castle in the clouds where a goose that lays golden eggs resides. Fairly soon, that obsession is shared by Puss and the two collect every bean they can find in the hopes that it may turn into one of the magic beans they are searching for. Much later and after a falling out with Humpty, Puss learns that two criminals known as Jack and Jill (Billy Bob Thornton and Amy Sedaris) have magic beans in their possession. Unable to resist the chance to finally obtain the beans, Puss breaks into their room to steal the beans but instead discovers that he has competition in the form of another cat. Their battle over who should get the beans alerts Jack and Jill which ruins the opportunity. Chasing the mysterious cat across the rooftops in an attempt to get revenge for foiling his plan, Puss finally corners the cat and after a dance battle learns that the cat is a female known as Kitty Soft Paws (Salma Hayek). He is further shocked to learn that Kitty is an associate of his estranged adoptive brother Humpty who wants Puss to join him once again on his quest for the golden eggs. To get to the castle in the clouds, it means that they will not only have to get the magic beans from Jack and Jill, but also they will all have to work as a team which means that they will need to trust each other for it to work. Puss in Boots is full of excellent animation that is just lovely to look at and Puss has never looked better. My only real issue with the film is Humpty’s character whose presence just kills the film’s momentum. Humpty’s character arc is also half baked and it’s doubtful that the good-natured Puss would have hung around the sullen Humpty as much as he did growing up. In fact, my complaints about this movie mirror many of the same complaints I had with the Shrek movies. I want the focus to be on Puss and the surrounding characters packaged around him detract from my enjoyment. I really disliked Humpty as a character much like I dislike many of Shrek’s entourage. Funnily enough, I don’t have the same problem with Kitty since she is a fantastic character that plays well off of Puss and the natural chemistry between Hayek and Banderas comes through clearly here. After all of their years of working together, the two actors have a wonderful rapport together and their playful banter here is a lot of fun to watch. Once again, Banderas is amazing as the thief with a heart of gold and his delivery of his lines is always funny and touching when needed. Puss is such a well realized character that he can be thrown into any situation and it will still work. Filled with homages to many previous films including Sergio Leone’s spaghetti westerns and even Banderas’ own Zorro films, Puss in Boots is a great adventure movie that both families and film aficionados will love. As expected,the 1080p (2.35:1) transfer for Puss in Boots looks amazing like most animated films do in high definition. It’s almost a forgone conclusion that Disney/Pixar’s releases will look spectacular, so I’m glad to see that Dreamworks releases are equally good. This transfer offers some extremely fine detail that’s so good that you an see every whisker on Puss’ face. Colors are vibrant and pop off the screen and the black levels are pitch black and solid. For a movie that spends a good portion of time in candle-lit locations that are full of atmosphere, the action on the screen is never lost in the darkness or obscured either. Even in these low light scenes, the clarity is never lost and it just looks fantastic. There are blemishes to speak of either, as there’s no sign of scratches, wear, or other defect in this all digital transfer. This movie simply looks stunning and scenes like the beanstalk growing up to the clouds show off this demo worthy transfer. The Dolby TrueHD 7.1 lossless mix for Puss in Boots is also demo worthy with an immersive soundtrack that will transport the viewers into the action of the movie. Dialogue is clear and crisp throughout and the rear channels offer a lively surround field that has accurate directional effects and an atmosphere that feels true and immersive. No matter where the action is taking place, it feels real and the viewer is surrounded by on and off screen sounds of the world around them. The music also sounds great, especially the dance sequences between Puss and Kitty. Fans of the movie will be very happy with this superb 7.1 lossless mix! There’s a ton of extras on here and they are all excellent and in high definition! I especially liked the bonus cartoon “The Three Diablos” and the Animator’s Corner feature. Puss in Boots: The Three Diablos – A bonus Puss in Boots adventure that takes place after the events of the movie where Puss must contend with three kittens that have many of the same skills as him (including the devastating sad kitty face ploy). A DreamWorks Fairy Tale – This is an interactive feature that allows kids to create their own rhymes. Kids will enjoy it but adults will most likely skip it. Puss’ Paw Pouncing Challenge – A fun little game where you help Puss catch the light with his paws. 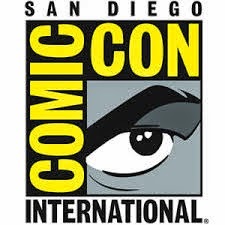 The Animators’ Corner – This picture in picture feature is hosted by director Chris Miller and the producers of the film, Joe Aguilar and Latifa Ouaou along with a variety of guests including consultant Guillermo del Toro. This feature is very comprehensive and the talk about the making of the film through commentary, storyboards, concept art, rough animation, and more. It was interesting to hear their reasons on why they shrunk Puss back to the size of a normal cat now that Shrek isn’t around, and the difficulty they had with the Humpty Dumpty character and his motivations. There’s a ton of information here and it’s very well done. Trivia Track – A banner appears at the bottom of the screen to give you some trivia information and it also track the total amount of meow’s heard. This is an okay extra but I preferred the Animator’s Corner feature. Purr-Fect Pairing: The Voices Behind the Legend – We hear from the cast involved in the movie including: Antonio Banderas, Salma Hayek, Zach Galifianakis, and Billy Bob Thornton. Deleted Scenes – Three deleted sequences including: “Humpty Plots with Jack & Jill,” “Humpty Repays His Accomplices,” and “Puss in Boots Fights the Giant.” Since two of these feature Humpty I didn’t mind them being cut but really none of these needed to be included in the movie. Kitten to Cat – If you haven’t watched the Animator’s Corner and heard about how Puss changed from theShrek movies to this one, then this is a nice summary for you. Glitter Box Dance Off! - A short look at the choreography in the film as performed by human dancers. Fairytale Pop-Up Book - This extra lets you watch “Memorable Moments” from the movie or to hear some of their “Favorite Lines.” There’s also a “Gallery” that features characters from the movie. Kitty Strikes Again – This another game for kids where you have to match identical pictures. DVD version of the film. 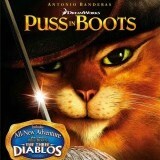 Puss in Boots is a fun adventure movie that fares a lot better than the lost two Shrek movies and it’s always fun to watch Banderas bring the feline Zorro to life. While I didn’t really like the addition of Humpty to the movie, I did enjoy the flirting and banter between Banderas and Hayek’s characters. This Blu-ray is first-rate with demo worthy audio/visual quality and a bunch of great extras so it’s an easy one to recommend to our readers to purchase.